If I asked you to guess the randiest of America's founders, you'd probably guess Ben Franklin. Arguably you'd be wrong. Gouverneur Morris was an avid and unrepentant adulterer and fornicator. He attempted to seduce many married women including Dolly Madison. Arguably he was even more licentious than Franklin. As his biographer Richard Brookhiser put it in this interview: "If you were broke, or in jail, or had lost the dearest person in your life, and you needed money, help, or consolation, the first Founder you would call would be Morris." Yet, Brookhiser joked, if you had him over for dinner you'd never seat him next to your wife or your daughter. Sounds like "The Wolf" (Harvey Keitel's character) from Pulp Fiction. Some observations respecting Mr. Morris' appointment having been already made, I shall explain the reasons why I shall not vote for his appointment, and that I may not be misunderstood I shall class my remarks under two heads, one having respect to Mr. Morris' natural capacity, & the other his moral character. I ought in the first place to observe, that I bear Mr. Morris no ill will—1 have personally known him for several years; I have served with him in Congress, & was with him in the Convention of 1787. I have never been borne down by his superior Talents, nor have I experienced any mortifications from the manner in which he has treated me in debate. I wish him and all mankind holy and happy. I allow that he possesses a sprightly mind, a ready apprehension, and that he is capable of writing a good letter and forming a good Draft. I never have heard that he has betrayed a Trust, or that he lacks integrity—indeed I have not known him in any individually responsible station—In the State Legislature, in Congress, & in the Convention of 1787, he was one of many, and in the office of Finance his principal was responsible, and nothing for or against him can be inferred from these stations. The second founder up for discussion in this series is none other than the great politician, scientist, inventor and statesman, Benjamin Franklin. As we all know, Benjamin Franklin was America’s quintessential Enlightenment figure. His ideas on government, politics, religion, etc. all reflect Franklin’s deep attachment to Enlightenment ideals. You desire to know something of my Religion. It is the first time I have been questioned upon it: But I do not take your Curiosity amiss, and shall endeavour in a few Words to gratify it. Here is my Creed: I believe in one God, Creator of the Universe. That He governs it by his Providence. That he ought to be worshipped. That the most acceptable Service we can render to him, is doing Good to his other Children. That the Soul of Man is immortal, and will be treated with Justice in another Life respecting its Conduct in this. These I take to be the fundamental Principles of all sound Religion, and I regard them as you do, in whatever Sect I meet with them. As to Jesus of Nazareth, my Opinion of whom you particularly desire, I think the System of Morals and his Religion as he left them to us, the best the World ever saw, or is likely to see; but I apprehend it has received various corrupting Changes, and I have with most of the present Dissenters in England, some Doubts as to his Divinity: tho' it is a Question I do not dogmatise upon, having never studied it, and think it needless to busy myself with it now, when I expect soon an Opportunity of knowing the Truth with less Trouble. So where should we classify Franklin on the Deism/orthodox Christian spectrum? From the evidence noted, it is clear that he does not fall anywhere near orthodox Christianity, yet he also falls short of embracing pure Deism. Clearly Franklin is closer to Deism than he is Christianity, so it would be fair to categorize his religious beliefs as being those of a "liberal Deist," or as I choose to define him, a "Jesus-centered Deist." In recent years, a fierce battle over the religious views of our Founding Fathers has created a rift between right-wing religious zealots and left-wing secularists. Both sides have engaged in a virtual tug-o-war over the legacy of America’s founding, which is likely to continue for years to come, or as historian Joseph Ellis puts it, “There is a fierce custody battle going on out there for ownership of the Founding Fathers…with no end in site.” In defense of their beliefs, both factions are able to successfully site various quotations from our Founding Fathers, which they believe accurately support their respective claims. For religious conservatives in general, the only acceptable truth, when it comes to our Founding Fathers, is that they were stalwart men of God, who remained steadfast in their orthodox devotion to Christianity. In contrast, those of the secular persuasion maintain that the Founding Fathers were anything but orthodox, and that many key founders actually adopted a deistic approach in their understanding of religion. Over the past couple of weeks, this blog has engaged in some wonderful discussions on religion and the Founding Fathers. With this in mind, I thought it would be beneficial to continue our inquiry into the religious nature of our key Founding Fathers, which will hopefully provide us with the needed perspective into their respective spiritual beliefs. 1.) They personally disliked organized religion, but were for cultivating an individualistic understanding and relationship with God. 3.) They were anti-orthodox Christianity, but pro-Jesus, at least in terms of his doctrine, which they felt had been altered from its original design. 4.) None of the "major" Founding Fathers were either purely Diests or Orthodox Christians. To begin our inquiry into the religious sentiments of James Madison, we need to travel back to his childhood years. From his youth, James Madison was raised in an orthodox Anglican home, where his father, James Madison Sr., was a vestryman in the church. When Madison was able to attend college, he and his family chose to send young James to the College of New Jersey (later Princeton). Instead of attending nearby William and Mary College, Madison chose to travel north and attend the College of New Jersey, because of its reputation for being “the principle training ground for American Presbyterian clergy” (Holmes, Faith of Founding Fathers, 92). While attending college in New Jersey, Madison witnessed two evangelical revivals, which split the student body into two groups. Steven Waldman, author of Founding Faith, notes that these two groups (known as the Cliosophical Society and the American Whig Society) differed in how they perceived religion. The “Cliosophes” were ]more evangelical in their sentiments, while the American Whigs were more cerebral. Madison took part in the latter (Founding Faith, 96). The fact that Madison favored an intellectual perspective on religion may suggest that the orthodox teachings of his youth were beginning to change. After all, Madison had begun to investigate the teachings of Deism while under the tutelage of Donald Robertson and Alexander Martin. Regardless of what he may have learned from many of his Enlightenment-centered instructors, it appears that Madison still maintained at least a part of his orthodoxy. As he stated in a letter to his friend, William Bradford, Madison found Deism to be “loose in their principles, encouragers of free enquiry even such as destroys the most essential truths, enemies to serious religion” (JM to WB: December 1, 1773). Regardless of what he may have learned in college, it appears that Madison was still unwilling to part with his orthodox upbringing. Upon his return home, Madison continued to study the Bible with great regularity and even conducted family worship (what David Holmes calls a sign of orthodoxy). 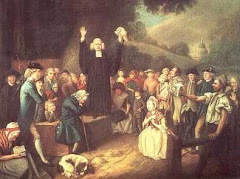 At the age of twenty-two, however, Madison became a first-hand witness to a violent wave of religious persecution, which emanated from the very church that Madison embraced. The recipients of the persecution – who were primarily Baptists – were often arrested on bogus charges of disturbing the peace. 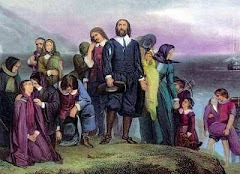 Since Virginia had a government-sanctioned church – the Anglican Church – Baptists were often esteemed as a lesser faith. This unfortunate turn of events had a deep impact on Madison. As Steven Waldman points out, “Madison’s sympathy for the Baptists translated into an increasing disgust with the Anglican hierarchy” (Founding Faith, 105). For a man who was raised to be an orthodox supporter of the Anglican faith, these harsh words against “eccelsiastical establishments” signify a clear change in Madison’s spiritual leanings. In addition, Madison’s notes, which he used as a reference during his debates with Patrick Henry and to write his Remonstrance Against Religious Assessments, reveal the fact that Madison was beginning to contemplate his spiritual leanings. In these notes, Madison asks, “What is Xnty” (Christianity), and, “What clue is to guide [a] Judge thro’ this labyrinth when ye question comes before them whether any particular society is a Xn society?” Clearly, Madison was beginning to distance himself from his previous orthodoxy. In addition to these attacks on religious freedom, James Madison’s religious sentiments were further shaped as a result of his friendship with Thomas Jefferson (a known critic of orthodox Christianity), and his wife, Dolley (a Quaker from birth). As Madison biographer, Ralph Ketcham, stated “Madison’s Christianity came to have an exceedingly individualistic tone…especially as he distanced himself from the Anglican Faith” (Madison, 47-48). Steven Waldman adds to this assertion when he writes, “there are signs that his affection for orthodox Christianity faded, too, as the years went on. Although his wife, Dolley, and his mother, Nelly, were both confirmed, Madison himself never was” (Founding Faith, 183-184). In addition, Madison eventually quit following a strict observance of the Sabbath and – like Washington – quit kneeling in prayer (See Meade’s account here and here). In addition, Meade states that Madison affirmed his belief in Christianity, as the best form of religion on earth. Despite this account – which is hotly debated in terms of its authenticity – Madison seems to have completely severed all of the orthodox attachments of his youth. In addition, Madison conveyed his “high regard for Unitarian principles,” which were completely incompatible with Christian orthodoxy. So where does Madison fall? According to David Holmes, author of the book Faiths of the Founding Fathers, Madison is either a closet Unitarian or a moderate Christian Deist. I think this is a pretty good assessment of the man, since it is clear that Madison never returned to his orthodox views of his youth. In addition, Madison’s desire for a strict separation between church and state – which was made evident during the Constitutional Convention and the ratification of the Bill of Rights – serves as ample evidence of Madison’s Unitarian leanings. Though we've discussed this before, I discovered some new evidence and thought it would be fun to bring this topic up yet again. Nearly every American has seen this painting. In fact, it has become one of the best selling pieces of art in recent years. Thousands of homes, churches, office buildings, etc. have adorned their walls with this extremely powerful portrayal of America's first president kneeling in prayer. As is common with the legacy of our Founding Fathers, Americans today gain a sense of pride, reverence, and even patriotism when witnessing poignant recreations such as this painting. But how accurate is it? Did Washington really pray at Valley Forge? Officially known as The Prayer at Valley Forge, artist Arnold Friberg chose to capture what he called, "The spirit of 1776" by painting this picture for the American bicentennial festivities of 1976. Since then, Friberg's painting has become one of the top selling pieces of American art and has inspired a countless number of "copycat" artists, who have capitalized on creating similar pieces of art. The painting has also become a source of controversy between Christian conservatives and secularists, who seem to be caught up in a constant battle over America's founding legacy. So what are the facts surrounding the "Prayer at Valley Forge?" I tied my horse to a sapling & went quietly into the woods & to my astonishment I saw the great George Washington on his knees alone, with his sword on one side and his cocked hat on the other. He was at Prayer to the God of the Armies, beseeching to interpose with his Divine aid, as it was ye Crisis, & the cause of the country, of humanity & of the world. Such a prayer I never heard from the lips of man. I left him alone praying. I went home & told my wife. I saw a sight and heard today what I never saw or heard before, and just related to her what I had seen & heard & observed. We never thought a man c’d be a soldier & a Christian, but if there is one in the world, it is Washington. She also was astonished. We thought it was the cause of God, & America could prevail. The powerful imagery of General Washington beseeching God to bless and protect his army is moving to say the least. The problem with the story, however, is that there is little to no proof of its veracity. First off, it is highly unlikely that Reverend Snowden ever knew or associated with Isaac Potts. Family history records have proven that the Potts family did not move to the Valley Forge area until 1800 (Washington was dead by then). Also, it is worth noting that Reverend Snowden's journal account records the name of Potts's wife to be Sarah, when in fact her name was Martha. In addition, Snowden's journal states that he heard the story from a man named "John," not Isaac Potts. Simply put, Reverend Snowden's journal is too unreliable to support the Valley Forge story. Along with the questionable journal entries, it is worth noting that Isaac Potts never had a change of heart when it came to the war. In addition, several critics of Snowden claimed that the Reverend recanted his story when presented with the evidence. So why would Snowden lie? It is a known fact that a number of religious leaders from several different churches attempted to "claim" George Washington as their own. After all, Washington was a living legend in his time. To have the religious endorsement of America's general and first president would be extremely impressive in the eyes of the common citizenry. As a result, scores of religious leaders of the 18th century have distorted the true nature of Washington's faith. While it is true that Washington was known for attending church with some regularity, and that he held organized religion "in high regard," it is important to recognize the fact that Washington was far from being an orthodox believer. First off, though Washington attended several religious services over the course of his life, he refused to be confirmed a member of any one denomination. Washington strongly opposed an orthodox allegiance in religious affairs (as he did in political affairs as well). It is also an established fact that Washington refused to take communion of any kind when attending church services. In fact, a number of religious leaders expressed disappointment at the fact that Washington would not participate in communion. During communion, it was common of Washington to simply walk out of church in the middle of the ceremony. Perhaps the most damning piece of evidence against the Valley Forge painting is the simple fact that George Washington refused to pray on his knees. Historians and biographers of Washington have pointed out the fact that Washington would choose to stand instead of kneel when praying. In fact, Washington made it clear to his military advisers that he detested anything that brought a man to his knees. Despite these facts, the "Prayer of Valley Forge" has received incredible publicity and attention over the years. In 1866, artist John McRae was commissioned by the United States to create an engraving of this event. Later, the Valley Forge Park Commission was given a grant to create a statue of McRae's engraving, which was to be placed at the entrance to Valley Forge Park. The Park authorities refused, stating that there was ample evidence to suggest that the Washington prayer story was a hoax. Despite the decision of park authorities, tours were conducted until roughly 1930, which took travelers to various locations where Washington had allegedly knelt in prayer.